"The month of May was come, when every lusty heart beginneth to blossom…" said Thomas Malory in 1470 – and times haven’t changed much since. 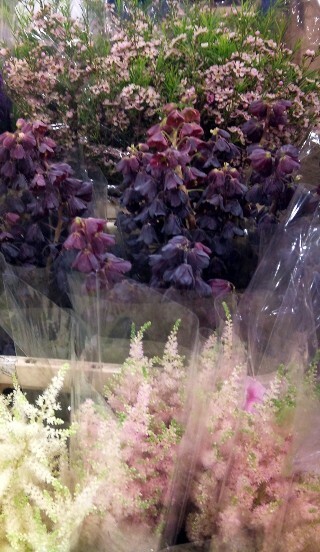 Keen-eyed visitors to the market will have noticed spring’s arrived in SW8 – the foliage guys have got their knees out. The urban equivalent of the first cuckoo, this classic sign of the season merits its own Twitter report. 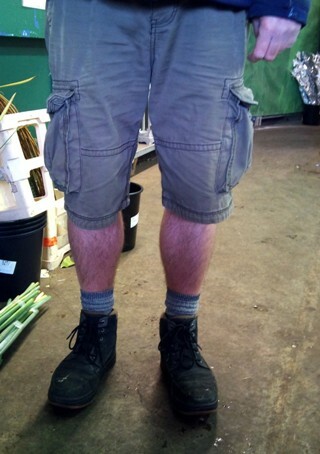 Whether it makes lusty thoughts blossom in your heart is not for me to comment… but here are Bryan’s legs at Porter’s, and David’s legs at GB Foliage. One thing that does get the juices flowing (the creative ones at least) is the abundance of sheer – well, stuff – in the market right now. 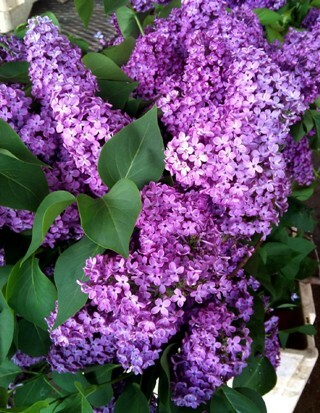 May is a glorious month; there’s so much colour, fragrance, freshness, greenery in nature. It’s a joy to work in an industry where we can celebrate that. Where to start? 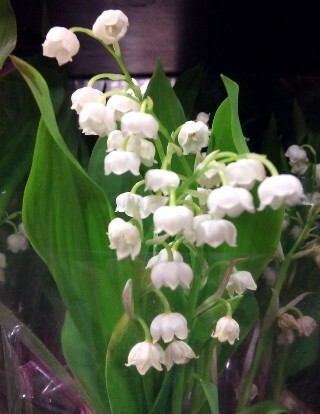 Lovely lily-of-the-valley is celebrated in fine style by the French, with their May Day "Fete de Muguet". Representing happiness and good luck, it’s available in the market in both cut and potted forms, so hopefully you’ve taken full advantage. There’s all kinds of mini-veg plants to satisfy the grow-your-own trend : tomatoes, beans, celery, peppers, lettuce, leek, cucumbers, strawberries… and of course herbs in abundance, to accompany all that veg. 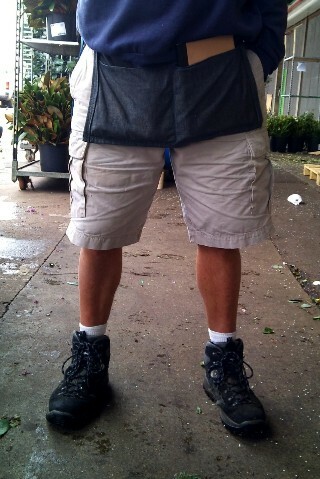 Get your trowels out! Arnott & Mason are very excited by their giant flowering aloes – and who wouldn’t be? After the Easter heatwave, I bet a few folk could use their healing gel to soothe sunburn. Kate and William will be on honeymoon by the time this blog is posted. 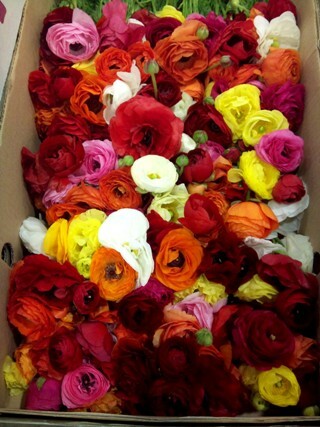 She requested British-grown flowers, where possible, for her wedding; that’s certainly something you can get from New Covent Garden. Pratleys’ scilla, yellow iris, and eye-popping ranuculus, are all UK-grown. 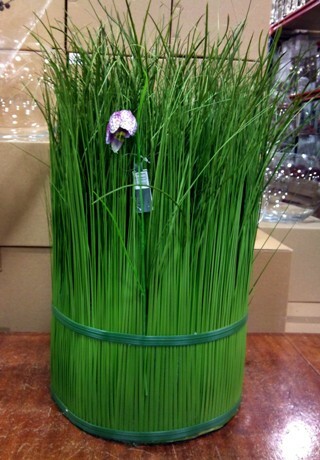 They’d look charming in this cute spring-grass container from Best. A sprig of myrtle is included in all royal bouquets, so maybe it’s time to (re)discover the delights of this evergreen, flowering shrub - inexplicably overlooked despite all its fine attributes. 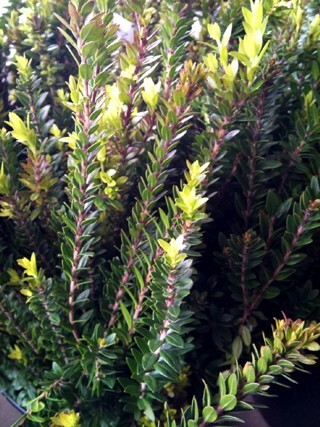 GB Foliage has a cut form called "Tarantino". Next door at Alagar, a ready-made bouquet inspiration : deepest purple fritillary, pinky-cream astilbe, and purple-white waxflower, lined up together. Chic! And something you can’t imagine from reading a text order list online. 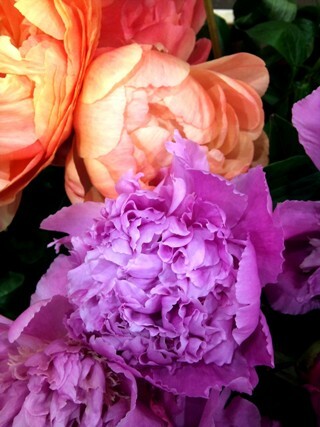 Austin has yummy peonies : "Shirley Temple" (like raspberry ripple ice-cream), and "Coral Sunset", a richer form of "Coral Charm". 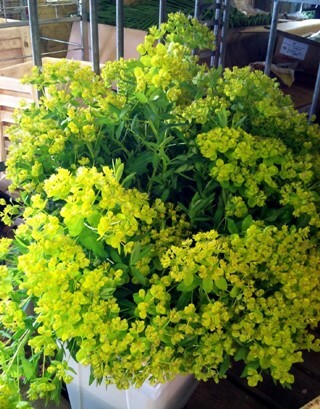 Plus another instant bouquet : two types of euphorbia, and green santini chrysanthemums – a zingy zesty lime feast for the eyes. 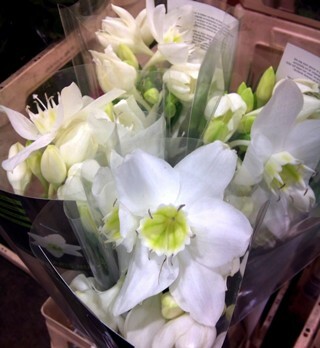 plus the simply beautiful Eucharis (Amazon lily), pure white, with a sweet smell. Quality Plants has them potted; they make wonderful houseplants. Some of you will be gearing up for Chelsea Flower Show right now; possibly the one time of year when everyone gets excited about plants. Good luck if you’re participating; may all your medals be gold ones. If you’re not at the show, why not recreate a little piece of Chelsea in your shop, for your customers? 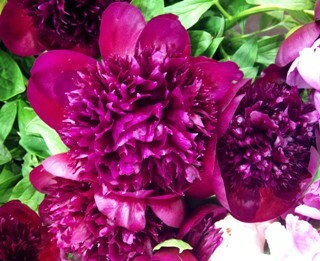 Get their lusty hearts blossoming for some real plant love.